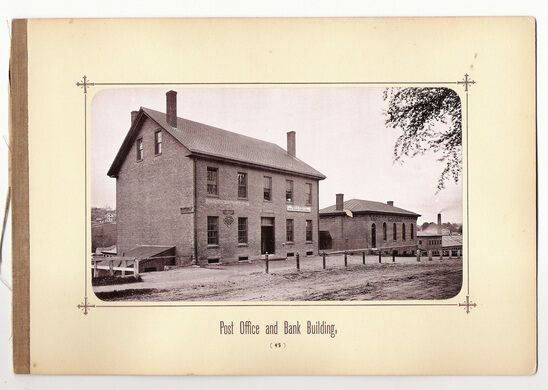 Historical image of the buildings before they were combined into the museum. The largest assemblage of Russian icons outside of Russia is not in New York or Paris or London. It’s across the street from quiet, manicured Central Park in the small town of Clinton, Massachusetts. Over 700 pieces of Orthodox iconography can be seen inside the old mill building on Union Street, the personal collection of one local business man. Now abandoned and graffiti-covered, this railroad tunnel was once the longest in Massachusetts. The record-holding oldest baseball field in continuous use has been hosting games since 1878. When Gordon Lankton was working his way up the ranks to eventually become president of a plastics manufacturing company in town, his work as an engineer meant some time on the road to learn from others in his field. On a business trip to Russia in 1989, Mr. Lankton purchased his first icon (a St. Nicholas) at a flea market. His collection quickly grew, and eventually gave birth to the idea of starting a museum. Mr. Lankton chose Clinton for the location to give back to the community that had supported him. Icons are religious images, often of the Mother of God or scenes from saints’ lives, painted on wood and sometimes covered with gold or silver covers. Some are spread across narrative panels, and many are decorated with shimmery gold leaf. They date as far back as the 10th century, and although scholars can attribute certain examples to specific artists, since they were intended as sanctified pieces of reverence over art, most were done anonymously. The Museum is housed in two building that were combined into one. These buildings were a 150-year-old former mill building and the adjacent 150-year-old former courthouse and police station with holding cells. 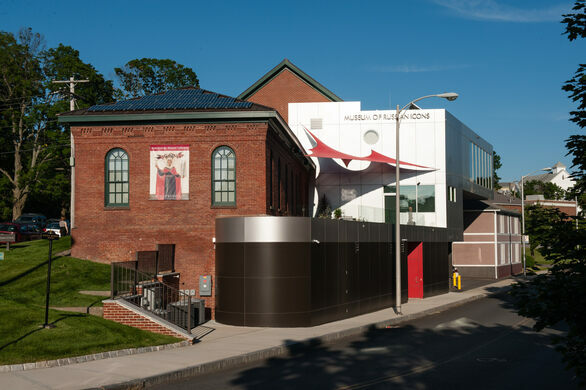 Three floors of galleries display the permanent collection and a dedicated gallery features special exhibitions ranging from contemporary Russian art to icons from other Orthodox cultures. The Museum is in downtown Clinton, which is about 35 miles west of Boston and 12 miles north of Worcester. They are open every day except Monday. Check the website for details and admission. The proud hometown of an American legend has honored their favorite son with what seems to be a gravestone.